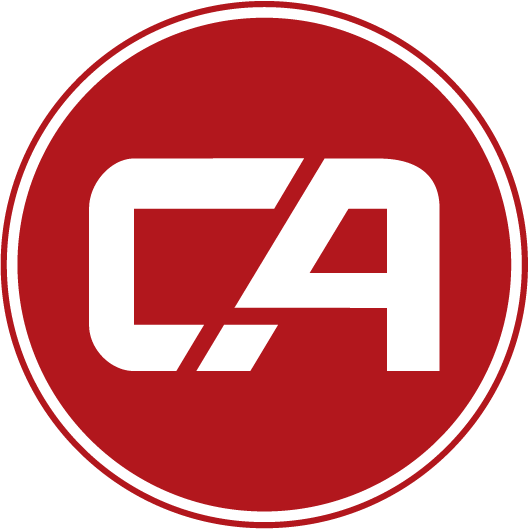 Combat Academy is an online community for martial artists, coaches and fans – a platform for tracking, coaching and sharing combat sports activities with a particular focus on recording and sharing video and images from your training sessions, competitions and tests. Combat Academy is now available as a web app (https://combat.academy) with mobile apps coming soon. How do I join Combat Academy? Joining Combat Academy is FREE and easy. Simply navigate to https://web.combat.academy/signup/form and complete the simple sign up forms. Is Combat Academy really FREE? Absolutely! All features available today, along with many more we have in the pipeline, are and will remain free to use. In the future we may add additional features such as advanced analytics and coaching content that can be accessed by converting to a premium account. Who can join and use Combat Academy? Combat Academy is available to anyone over the age of 13 subject to agreeing to our Terms of Services. When you sign up for an account you implicitly agree to these Terms. If you do not agree with the terms, do not sign up. Do I have to be an active combat sports athlete to use Combat Academy? Not at all! Join as a fan to check out some of the video content on the platform and provide support and encouragement to athletes you may know. What sports can I track with Combat Academy? Other sports: Olympic Lifting, Powerlifting, Running, Cycling, CrossFit, Yoga & a general Other category. Please let us know if your favourite combat sport is missing and we will try to add it. What should I do after joining? As soon as you have completed the sign up forms you can add your first activity (see guide here: Track an Activity ) or start looking at the activities of other athletes in the Feed section. However, before you do that we really recommend that you add some more information to your account as this will enable us to tailor the app experience to your interests, location and preferences. The first time you log in you will be shown the Accounts Settings screen where you can make these changes. Later on, you can always get back to that screen by selecting “Account Settings” from the main menu (in the web app this can be found in the dropdown that is displayed if you click on your profile image or name in the header). In “Account Settings” you can add or change such things as your profile image, name, athlete bio, weight & height, location, primary & secondary sports, privacy settings and notifications preferences. You can also link up e-mail, Facebook and Google accounts on these screens. What is my Combat Readiness Score? It’s probably quite obvious but one of the main features of the Combat Academy platform is that it allows you to track details of all your training sessions as well as competitions, belt tests, seminars and so on. You can provide a lot of details for each activity including notes, training partners and time & technique statistics. You can also attach video and photos from your activity, and this is something we really encourage as they become great visual aids to critiquing and improving your skills. Once you have saved a new activity it becomes visible in your activity feed, as well as in the feed of other members that are following you. But don't worry, we do have your privacy in mind. We don't want your training videos accessible to an upcoming opponent. You have ability to make individual activities only visible to yourself. So, how do I add a new activity then? We are glad you asked. This is really quite simple, select the add activity function from the main menu (in the web app this is the “+ Activity” button in the header) and add as much information as you have (or want) to the 3 add activity screens. How to add my gym? By adding a gym to you activity you can keep track of where you have trained and your activities will appear in a feed together with other activities that has taken place at the same gym. If you have specified a primary gym in your profile (recommended) it will be assigned to each new activity (or post) as a default. If you want to change it (or if a default has not been set) you can just start typing in the search box and select from the drop-down. If you cannot find your gym by search (for example if you trained at home) you can just type in whatever text you wish for the gym name, but in those cases your activity will not appear in any specific gym feed. You can read more about the gym features here. How to add my team or coach? Astronomers face an embarrassing conundrum: they don't know what 95% of the universe is These features are not yet available. Stay tuned though, we will be adding these features soon. How do I add a training partner to an activity? This is easy, simply select as many training partners as you wish from the dropdown list on the add activity screen. Note that only names of athletes that you follow on Combat Academy will appear in this drop-down, so go ahead and get some of your friends onto the platform and make sure you follow them. See this guide for some more tips on uploading media. How can I speed up video upload? There are quite a few things you can do to speed up the video upload process. Our main recommendation is to edit your video into shorter sequences, cutting away any idle periods and splitting discrete chunks of activity into separate video files. We currently do not have any limits on video length (although this may change in the future), but we suggest that each video clip you upload should be no more than 3-4 minutes long. · Once you have cut and trimmed your video clips in your favorite video editor export them in a lower resolution such as 1080p or 720p. That should reduce the file size quite a bit. · Only upload your video when you have a fast internet connection. You can always add your basic activity details from the gym and then add the video later when you get home. · Use WiFi when uploading video as it may be faster and will certainly help you stay within any monthly mobile data cap. What is My Technique (Stored Technique) and how do I use it? Imagine you are scrolling through the activity feed and see a Gracie execute a flawless gogoplata, or your favorite Muay Thai fighter landing a perfect flying knee. These are the moments you save in My Technique. Think of it as a library of martial arts moves that you can view on demand. Now, how you use your library of techniques is up to you! We like to save Techniques executed by experts in their respective combat sports and use the library as a training tool to perfect our execution. Now that you know what My Technique is, let’s clear up how to save your favorite video clips. On the action bar, located below the media panel of every activity, there are three options – Oss, Share, Comment, and + My Technique. If an activity has an associated video, it is eligible to be saved in your Stored Techniques. So go ahead and press + My Technique when you see a video you want saved. Then add any notes you feel necessary and tag the move (armbar, gogoplata, left hook, choku zuki, neutral stance etc). My Technique is a valuable tool, use it wisely. Find the martial artist’s expertly executing moves you desire to learn, save their videos and master the technique through imitation. Saved My Technique videos can be found on the Stored Techniques screen available by navigating to the Log screen from the main menu. I don’t understand my stats? Your activity stats can be viewed by navigating to the Log screen from the main menu and selecting the Stats screen in the sub-menu. You can filter your activity data in a variety of ways. To populate your stats page, make sure you are entering training data when posting an activity. If you don’t accompany your activities with data, the stats page will not be of use. How do I earn achievements and what do they mean? You can earn a range of badges, activity awards and technique awards through your use of the Combat Academy Platform and each of these will progress through a series of levels from 1 to 11 (White to Platinum). Achievements earned from a specific activity will be shown in the sidebar of the activity details page. To see all your earned achievements, navigate to the Log screen from the main menu and selecting the Achievements screen in the sub-menu. We would like the rest to be a surprise, so that’s about all we will tell you about achievements here. As you earn them you will see how they were earned. The goals section can be viewed by navigating to the Log screen from the main menu and selecting the Goals screen in the sub-menu. You can set weekly, monthly, annual or perpetual goals and decide if you want them to be one-time or recurring. Defining a new goals is pretty simple, click on the “+ Set a New Goal” link on the Goals screen and follow the prompts. Once set the system will track your progress towards reaching those goals and may award you a badge when a personal goal has been met a certain number of times. How do I post to the featured feed? You don’t 😊. The Featured Feed is compiled automagically by the Combat Academy platform. Recent content that has a high degree of user interaction (Oss and Comments) will tend to bubble to the top of this feed, especially if it matches your primary sport. Stay active on the platform and we are sure some of your activities will end up on the featured feed before too long. See any interesting activities in the featured feed? Then don’t forget to follow the athlete or add cool videos to your Stored Techniques collection. Note that activities with privacy set to Private will not show up in anyone else’s Featured Feed. How do I follow other athletes and how can they follow me? Once added and approved this athlete’s activities will start showing up in your Following Feed. Other athletes can follow you in exactly the same way. If the “Explicit Follow Approval” in your account settings (under Privacy & Notifications) has been set to “Yes”, then you will receive a notification that a new athlete wants to follow you and you must approve that request before he or she can do so. You can always see a list of your followers by going to your Profile screen and clicking on the Following and Followers buttons next to your name. Can I share my activities outside of Combat Academy? Of course! We want everyone to recognize the beauty of combat sports. If you locate the action bar below every activity you will see the Share button. Press this and you will be given the option to share through email, Facebook or Twitter. Now go share your best moves!